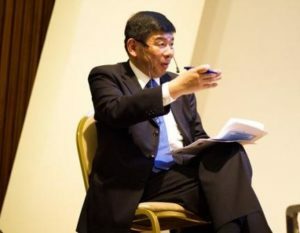 During the 11th WTO Ministerial Conference (MC11) in Buenos Aires, to which the WCO Secretary General, Dr. Kunio Mikuriya, was invited as a Special Guest, the WCO and the Federal Administration of Public Revenue (AFIP) of Argentina jointly organized a round table session on «E-Commerce: Game changer for Customs, Trade and Consumers» at the AFIP building on 11 December 2017. 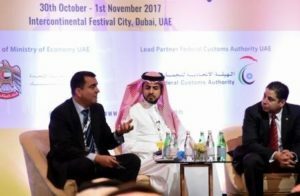 The 2017 edition of the Global Trade Development Week was organized in Dubai, from 30 October to 1 November 2017, under the patronage of the Ministry of Economy and in partnership with the Federal Customs Authority of the United Arab Emirates (UAE). The event was attended by representatives from Customs administrations, ministries of trade, international organizations and the private sector from various regions of the globe. 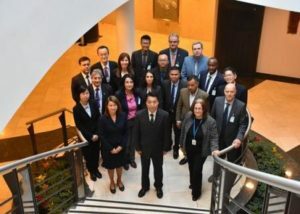 The WCO organized its first Accreditation Workshop for Technical and Operational Advisors on Customs Laboratory Matters from 23 to 27 October at the WCO Headquarters in Brussels, with the support of CCF/Japan. Twelve pre-selected candidates from the Customs Laboratories of Argentina, China, Germany, Greece, Indonesia, Italy, Japan, Pakistan, Russia Federation, Sudan and Turkey participated in the programme. In the Research Institute of the Russian Customs Academy on the initiative of Mr. Kadyrkulov M.A., Member of the Board (Minister) for Customs Cooperation of the Eurasian Economic Commission, it has been carried out a research-work devoted to the World Customs Organization as a modern institution of improving customs regulation and trade facilitation; the results of which is a monograph «The World Customs Organization as a modern institute of improvement of customs regulation and trade facilitation».